Earn $66.95 in Rewards credit. Click to learn more. The bleeding edge of shifter design. 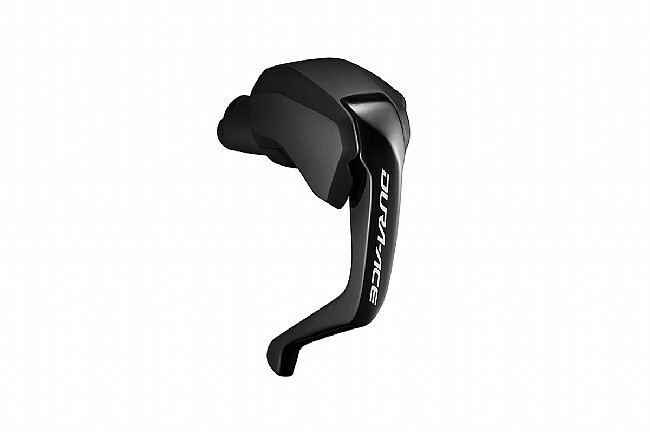 Bringing Shimano's pro-proven Dura-Ace Di2 electronic shifting platform to the cutting edge world of hydraulic disc brake-equipped TT bikes, the ST-R9180 TT/Triathlon Hydraulic Levers represents the latest and greatest from the components giant, Shimano. With a simple, no-nonsense design, the 9180 levers open the door to truly intuitive shifting with its customizable buttons, allowing you to fit these shifters into your riding style.